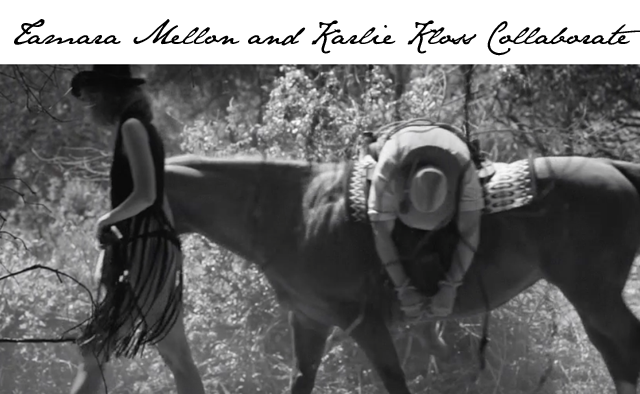 Seems Tamara Mellon and Karlie Kloss are two collaborating cowboys this season. Karlie Kloss took to instagram earlier today to release a first look at the new Kowboy Karlie collection (see video below). And guess what, folks? It's everything you'd expect from the name. This new collection for Tamara Mellon features a variety of cowboy inspired pieces from fringed vests to roper boots. You bet your bottom dollar we're in love.